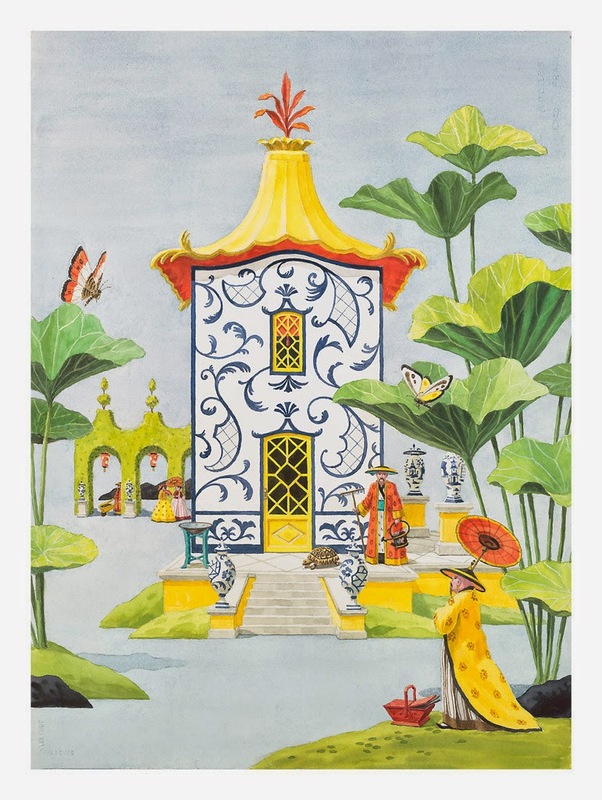 One of my favorite artists of all time, Harrison Howard, now has one of his Chinoiserie themed paintings featured on a new line of paper goods from Caspari. 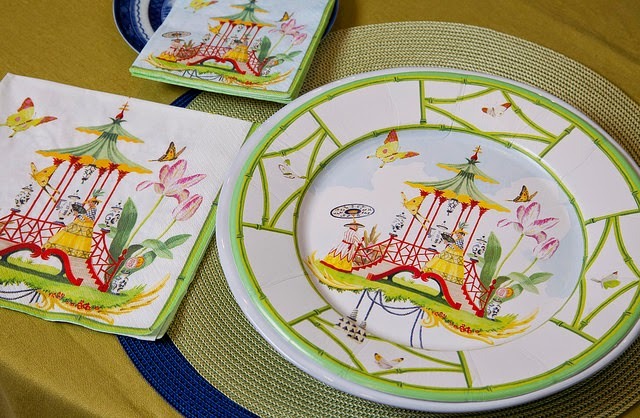 "Garden Folly" is a perfect choice for the plates, napkins, place cards and more which are offered in this new summer selection.The perfectly executed, yet oh so whimsical details will take your breath away. 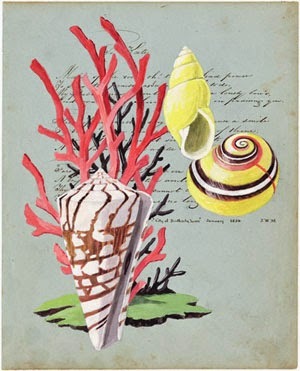 Harrison is renowned for his intricate works of art which include The Flower Lady, Shells, and the Chinoiseries Series. His murals and wall panels are well known in Southern California (he lives in the Point Loma area of San Diego) as well as throughout the world as his client list is stellar. Please enjoy some of his works of art featured here and then visit his website, www.harrisonhoward.com to peruse and learn more about this exptemely talented artist. Even one of his paintings or lithographs will be stunning in any room of your home, although in pairs they make a very dramatic statement. 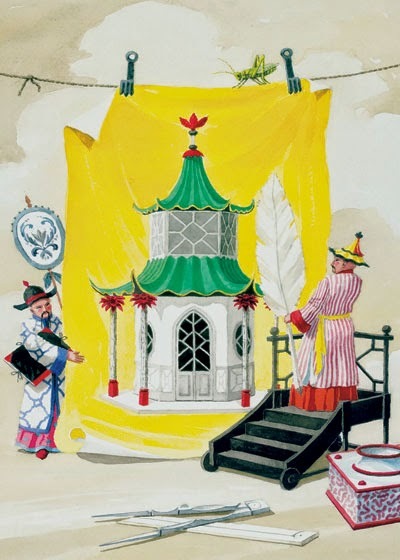 According to Harrison, on his paintings, " They are the product of numerous other influences as well, including many of the things surrounding me in everyday life, and extending to a passion for many areas of the decorative arts, such as the fanciful Chinoiserie designs of the 18th century Frenchman, Jean Pillement. In particular, I would acknowledge the countless other artists through the ages, too numerous too mention here, whose work has electrified my imagination. 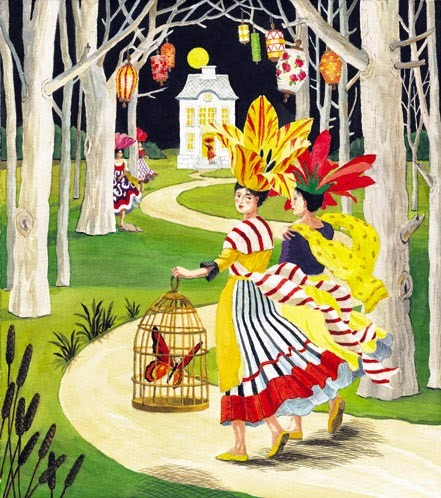 My pictures are aimed at the fundamental pleasure that almost all of us take in imaginative and quirky ideas." Please leave a comment as they truly make my day! If you are not receiving updated posts, please subscribe by email so that you will not miss the latest features. Congratulations Howard!! This is great news for all of us. I am so excited to see more of Harrison's work available in a new form. Caspari made a great choice with him. He is as nice a person as he is a talented artist! Congratulations, Harrison! Hi Karena, How are you fée long m'y dear friend. 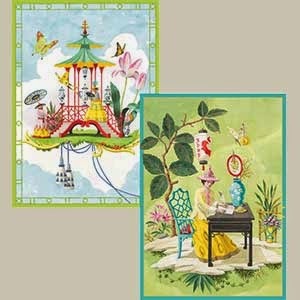 I've seen where the decorative napkins in these similar designs have be deccpoged to piece of furniture that has a door panel, even the gift wrapping papers were used and when done and aged with a antiquing glaze and sealed up for lasting beauty they looked amazing almost a good as the high end hand made paper wallpapers. Another beautiful post from you my dear. Ps. I hope you have been able to relax now that you are home. I wanted to ask, How are you feeling my dear friend? So pretty! 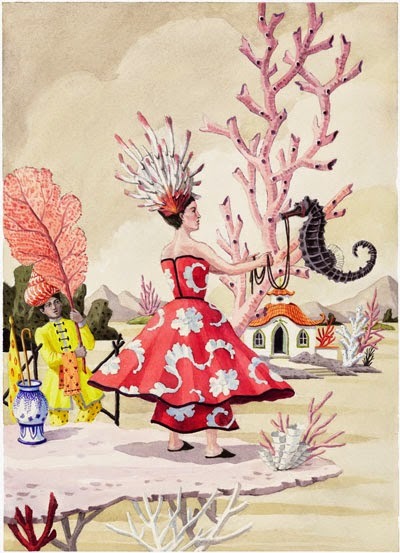 I love the snail/coral and seahorse ones! Truly loverly.......and he lives in my STATE!The colors are stunning.I will look for them when i am out and about!Thanks for the great tip! Big Love of this line!! Wonderful thanks for sharing!! Karena... 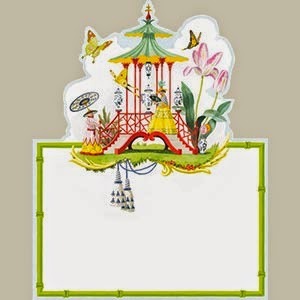 These paper products are to die for!!! Love them. Have a wonderful weekend. How magic are these paper pieces! 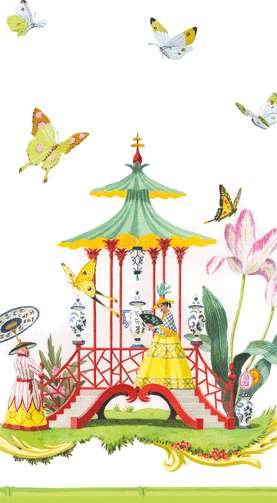 They scream for a Summer party on the deck with pretty vintage lanterns! I have your posts feeding into my emails now. My sidebar has been misbehaving...not updating some of my friends. Have a great week, Karena! This is so charming, Karena! Thank you for sharing! I love these beautiful paper goods! so whimsical and perfect!